Not all beers will be available at the taproom. 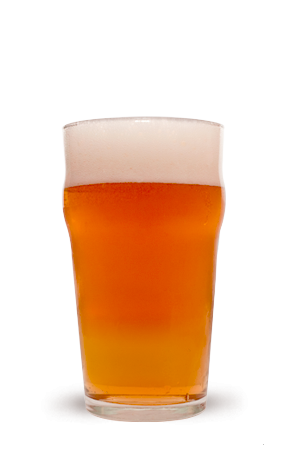 WATER: We start with Reversed Osmosis Water and then re-mineralize it for each style of beer. MALT: Sourcing from Skagit Valley Malting. A local company only using the best barley and newest technology to create unsurpassed malt. HOPS: We source directly from Yakima, hop capital of the world. YEAST: The majority of our Yeast we use comes from a small company in Oregon, Imperial Organic Yeast. At 6.6% ABV with 65 IBU, this mouth watering Citrus IPA will blow your mind! Citra and Mosaic Hops abound! We call it Santa Juice. At 7.5% this wonderful ale spiced with Maple Syrup, Brown Sugar, Cinnamon, and Ground Ginger is a favorite very year! 5.5% Known for its balance and the interplay between malt and light hop bitterness. A nice play on earthy, herbal English-variety hop character with notes of dark fruit. A simple but pleasant ESB. Select ingredients create this well balanced in house made root beer. Ingredients are mostly organic and fair trade! 7.1% and 70 IBU, this IPA series uses hard to find Hop Hash, this version features the Idaho 7 Hop. A grapefruit and a well balanced citrus throughout! Balanced Pale Ale showing flavor of citrus and pine from additions of Simcoe, Cascade and Centennial hops. Featuring the NZ-151 Malt base from Skagit Valley Malting which provides the unique malt flavor. Single Hop and Single Malt Pale Ale features Skagit Valley Copeland Ale Malt and a single hop Varitey. 8.5% and 94 IBU Rich caramel and toffee notes balances well with Northwest citrusy and resinous hops making this a standout Red IPA. 5.3% A robust dry stout with a full body of chocolate and coffee notes. In honor of Ron Ware. This man knows beer and every brewer knows him. Ever evolving Double IPA featuring Chinook, Amarillo, Citra, Mosaic, Centennial, Belma and El Dorado Hop Hash. 6.6% - A Seasonal Ale featuring spices of Cinnamon, Brown Sugar and Fresh Nutmeg and a tad bit of Ground Ginger. Wonderful for Thanksgiving and Christmas for creating a well-balanced happily ever after. We spared no expense in creating this collaboration beer with Chuck's Hop Shop. Featuring Galaxy, Citra, Mosaic, Amarillo hops, and El Dorado Hop Hash. Easy Drinking NEIPA. 5.56% and 33 IBU Clean and crisp Pilsner but well rounded with hint of biscuit malt background. A Fresh and easy drinking Blonde Ale. At 5.5% ABV and 24 IBU, any beer drinker will enjoy this anytime of the year! Available soon! 7.5% at 95 IBU A balance of northwest citrusy-resinous hops with a roasted chocolate and caramel notes. A black IPA. Forever named in remembrance of Andrew Sones. This ever changing IPA uses unique hops or blends. This version features the collaboration hop blend from YCH and Pink Boots Society. Supporting Woman in the Beer Industry. Pink Boots blend features - Palisade®, Simcoe®, Mosaic®, Citra® and Loral®.